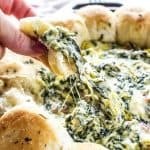 SPINACH ARTICHOKE BACON DIP RECIPE- creamy, delicious and easy to prepare this is a party must have. Adding bacon to your classic spinach artichoke dip is a fantastic twist that all your friends & family love. I love warm dips, especially during the fall. Not sure if it is the weather or the fact that it is football season, I just love having a warm dip to dunk my chips or bread into. The cheesier the better. 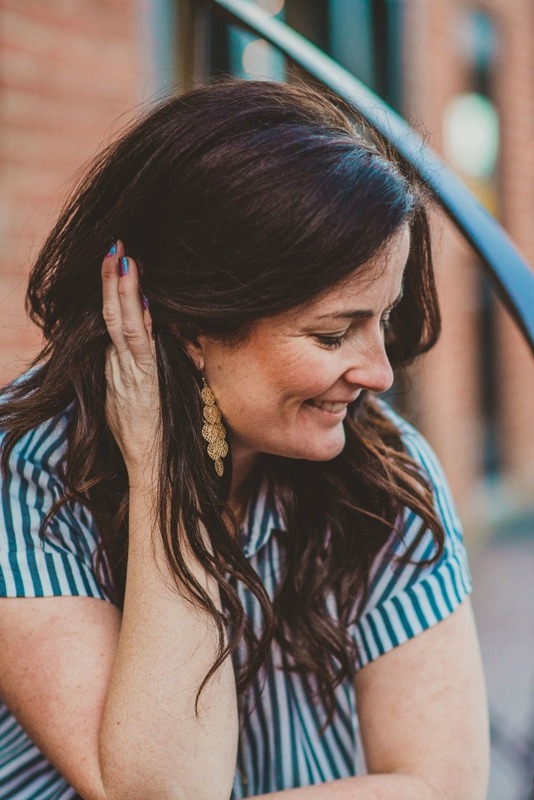 My family has a favorite restaurant in town and they used to have the most amazing Spinach Artichoke Dip recipe then a few years ago they took it off their menu and we were sorely disappointed. 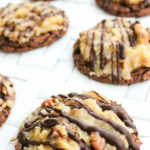 My husband knew a chef there who gave him the recipe and we made it once and it was to die for. 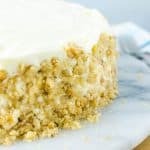 Sadly we lost the recipe, we are pretty sure it was marked up and unrecognizable and we probably threw it away without knowing the secret recipe that was on it. Since then we have been trying to recreate it. This SPINACH ARTICHOKE BACON DIP was actually going to be another attempt, of course without the bacon but when I went to grab the cream cheese out of the fridge I saw the bacon. It was like a light shined on it from heaven and this brillant idea of SPINACH ARTICHOKE BACON DIP RECIPE. So I cooked up the bacon and threw it in this dip and my heart skipped a beat. Of course serving this dip around a warm ring of garlic rolls helps making this yummy, am I right?! How do you make artichoke dip? 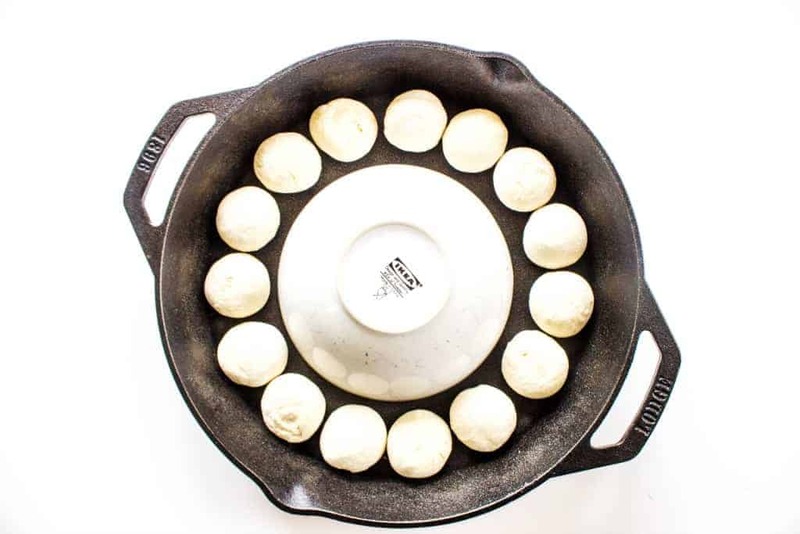 Using a large skillet line the outside rim with 20 frozen dinner rolls. 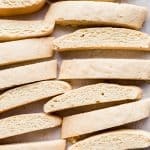 In the center of the rolls add a small cereal bowl, this will help push them together and keep the center open for your dip. Cover rolls and allow to rise for 90-120 minutes. In a large skillet pan cook bacon. Once the bacon is completely cooked, drain, and allow the bacon to cool and set aside in a separate bowl, saving for later. 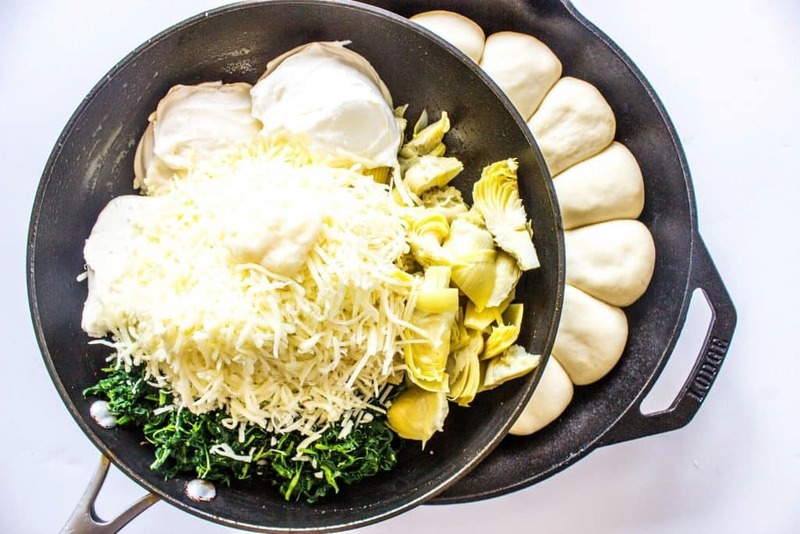 Using the same skillet that you used for the bacon, add spinach, artichokes, sour cream, mayonnaise, cream cheese, mozzarella cheese and Parmesan cheese and garlic; cook over medium-high heat until the cheese melts. Then stir in cooked bacon until well combined. Season with salt and pepper as needed to your taste. Remove the bowl from the center of the skillet and add topping to the center. Melt the 2 tablespoons of butter and brush the melted butter on top of the rolls. Sprinkle with garlic salt and dried parsley. 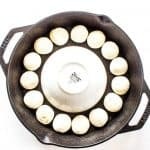 Place the skillet in the oven and bake for about 20 to 25 minutes or until the rolls are a nice golden brown and dip is warm and bubbly. How do you store artichoke dip? Refridgerate in an airtight container. It will keep for about 1 week. My favorite kitchen items to use to make this SPINACH ARTICHOKE BACON DIP RECIPE. SKILLET: I love cooking with cast iron skillets and not sure why I waited so long to cook with these. For dips in the oven I wouldn’t use anything else. MIXING BOWLS: I love having a variety of sizes of mixing bowls. From small to large, I find that having at least 3 bowls of different sizes has been an essential in my kitchen. 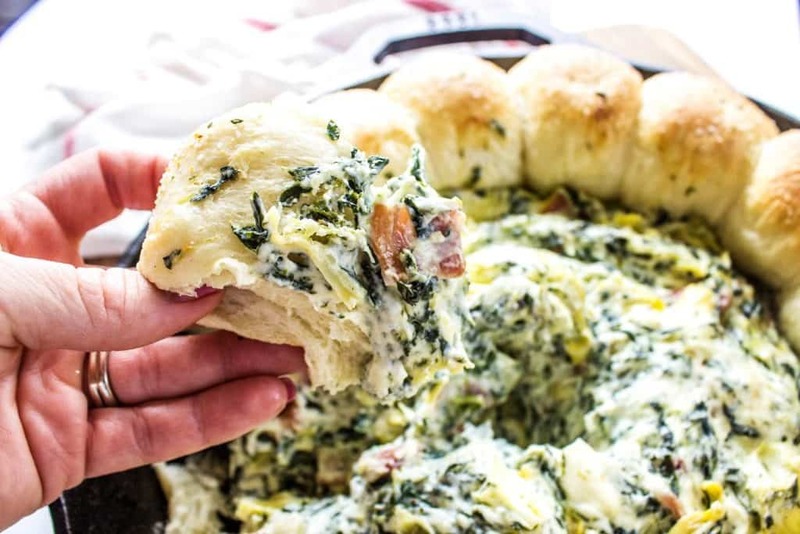 Don’t forget to pin this for SPINACH ARTICHOKE BACON DIP to your favorite Pinterest board for later. Using a large skillet line the outside rim with 20 frozen dinner rolls, I used Rhodes Rolls. In the center of the rolls add a small cereal bowl, this will help push them together and keep the center open for your dip. Cover rolls and allow to rise for 90-120 minutes. In a large skillet pan cook bacon. 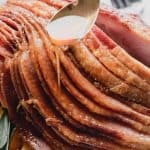 Once the bacon is completely cook drain, and allow the bacon to cool and set aside in a separate bowl, saving for later. 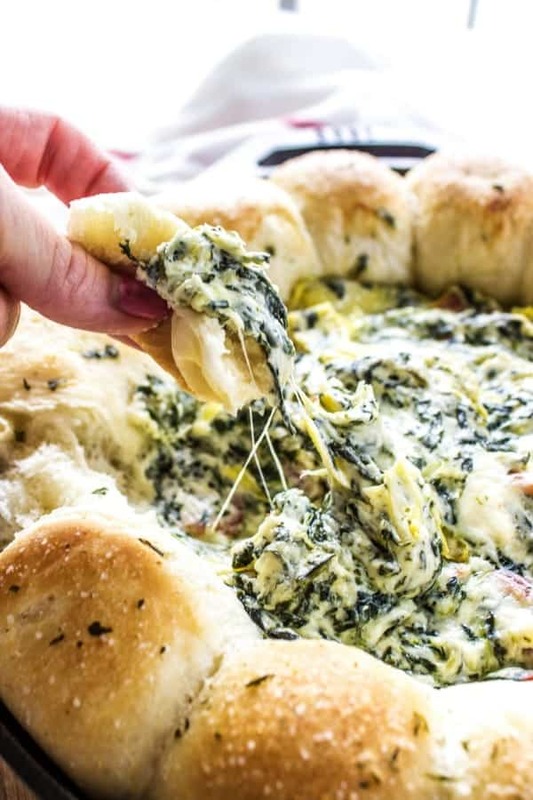 Using the same skillet that you used for the bacon add spinach, artichokes, sour cream, mayonnaise, cream cheese, mozzarella cheese and Parmesan cheese and garlic; cook over medium-high heat until the cheese melts. Then stir in cooked bacon until well combined. Remove the bowl from the center of the skillet and add top to the center. Melt the 2 tablespoons of butter and brush the melted butter on top of the rolls. Sprinkle with garlic salt and dried parsley. 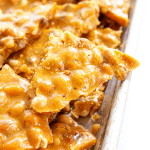 Crazy question: Can this be made ahead of time and served cold or room temperature? 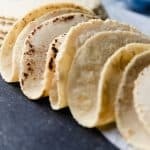 I’m looking for a “pot luck” type dish. I’m concerned about preserving the yumminess of the dish and food safety. 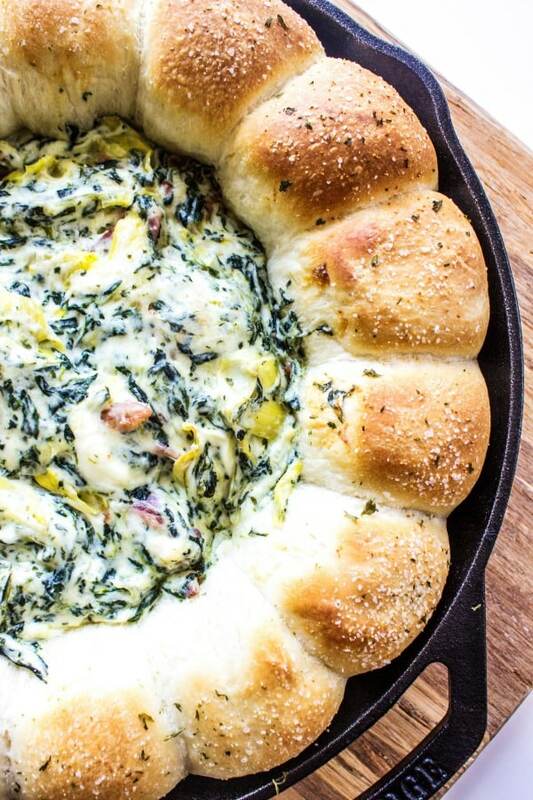 Christ on a cracker, that spinach artichoke dip, with bacon, looks amazing. Honestly someone needs to take out a restaurant loan and start making them by the dozen. 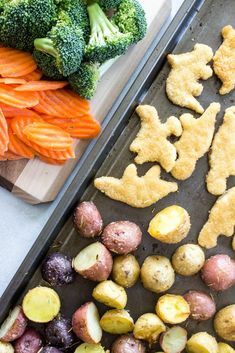 Can’t wait to eat it, or even just look at it! 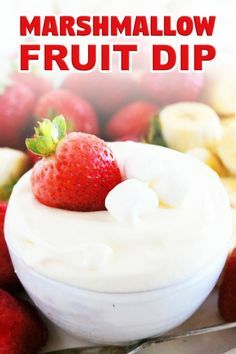 This might be my favorite dip ever!! What about adding jalapenos?